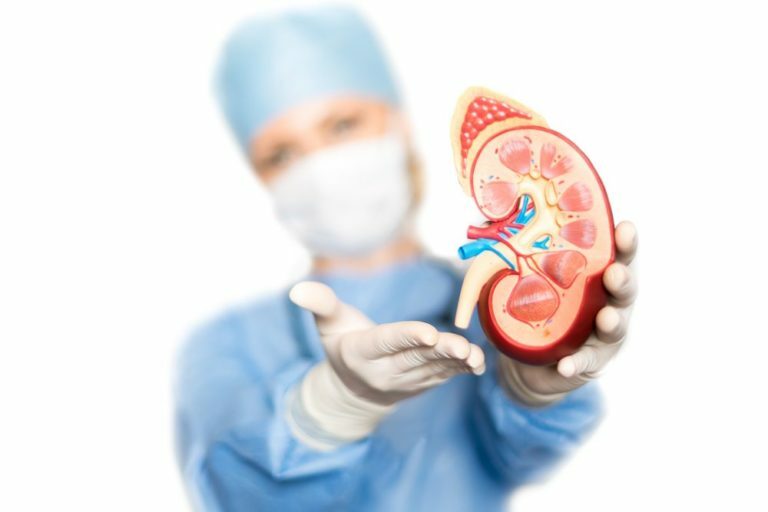 A radical nephrectomy is the surgical removal of an entire kidney for the treatment of kidney disease, cancer, or severe damage. Traditionally, nephrectomy procedures were performed with large incisions that required long hospital stays and complicated the risk of infection. Now, the da Vinci ® robotic system is making it possible for surgeons to complete a radical nephrectomy using only a few tiny incisions that require a short recovery period and have a low risk of complication. Am I a candidate for a da Vinci ® radical nephrectomy? You may be a candidate for da Vinci ® robot-assisted radical nephrectomy if you have kidney cancer or serious kidney damage that requires a complete removal of your kidney. Da Vinci radical nephrectomy may also be an option if your surgeon will be harvesting one of your kidneys for donation.